My value rating on the 8-braid is reflective of the $789.99 price. I believe the price is fair from a material cost perspective, but I’m not confident that it gets me any extra sound quality over a quad braid. I imagine that the quad braid would receive a higher value rating in my ratings, but I have not tested it. I’m not likely to have $409.99 to get the same cable in a quad, and I’m pretty sure Peter wouldn’t send me another sample of the same cable to test out the differences. Feel free to prove me wrong, Peter. I think it’s clear what Double Helix Cables believe, and that they have evidence to support their belief. The questions that I’ve been pondering are different. Do metals have sonic characteristics independent of conductivity? Is maximum conductivity necessary? Is there a point past which the spatial information and textural information that marks real high-resolution playback isn’t audibly affected? How important is shielding in a headphone cable and does braiding sufficiently accomplish this? When talking with other cable manufacturers I’ve been told a goodly variety of claims. I asked Supra Cables if material changed sound, and they said that every metal sounds different. They use primarily tin-plated copper in many of their wires. They also use foil and mesh shielding. Supra does not make headphone cables. Touraj Moghaddam of Vertere Acoustics told me that it isn’t only plating material, but plating thickness that affects sound. He uses tin and silver plating of varying thicknesses. He also uses complex geometries, variable size wires, and shielding. 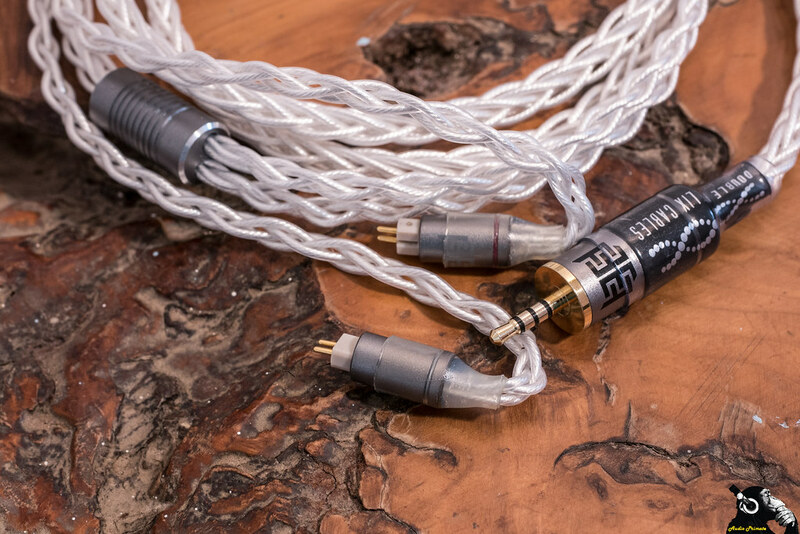 Atlas Cables said that silver doesn’t sound good in audio applications and only use it in digital applications. Atlas uses high purity copper and doesn’t use solder. They also shield all their cables. All manufacturers I asked said that dielectric material was important, this includes WyWires. I reviewed WyWires Red HD600 cable. Their FAQ argues that air is the best dielectric and that cotton wrapped wires have the most air in their dielectric. WyWires, much like Double Helix Cables, and Blue Jeans Cables, think most cable claims are marketing hype. There is clearly a diversity of opinion, and all the companies listed above use science or something resembling it to back their opinion. I don’t think I can give any definitive answers. I can tell you what I think, but I’m not a chemist, physicist or material scientist, so all I’m relying on is my ears and a gathering of opinions from industry. My ears have heard clear differences by material composition in Effect Audio cables, but I haven’t had opportunity to compare materials within the same line-up for other manufacturers, so I can’t make conclusions. Without controlling for geometry and manufacturer, differences in material composition will be hard to separate from confounding factors. I simply don’t have the means to control for all confounders. The Symbiote SP is beautifully hand braided with consistent workmanship all the way through, above and below the y-split. The y-split is light-weight and purpose designed for Double Helix Cables. I got the gunmetal aluminum. It has a nice chamfer to the top and bottom edges that gives it some visual bling and texture in the middle. Above the y-split there is a rubber grommet used to cinch the cable behind the neck or under the chin. The connectors are all made by Eidolic, who I think make the finest connectors available. The 2 pin connectors use tellurium copper pins (better conductors than brass pins), a specific plastic used especially for this pin housing, and an aluminum barrel in gunmetal grey for this set. The right earpiece has red paint hand-painted into an indent in the housing. The 2.5mm TRRS plug is a gunmetal grey Eidolic plug also. I would have loved to have Rhodium plated here, but I’m pretty happy with the connectors, overall. All connectors have clear branded Double Helix Cables heat-shrink for finishing and strain relief. I have found the strain relief sufficient—I’m not rough on my cables or headphones. 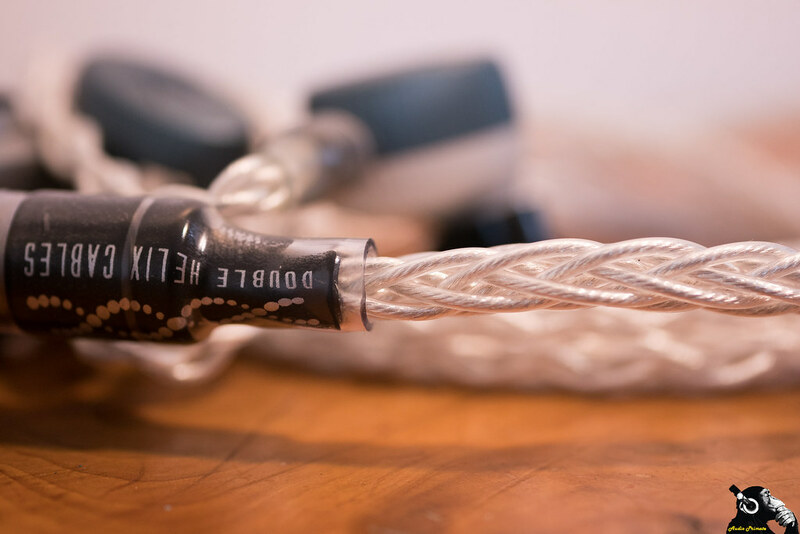 The cable has a soft shimmer and clear individual wire strands that are the hallmark of Litz wiring. All cables like these are like pieces of jewellery, but the perfect workmanship and gaudy dimensions really make the Symbiote Elite SP 8-braid shine. 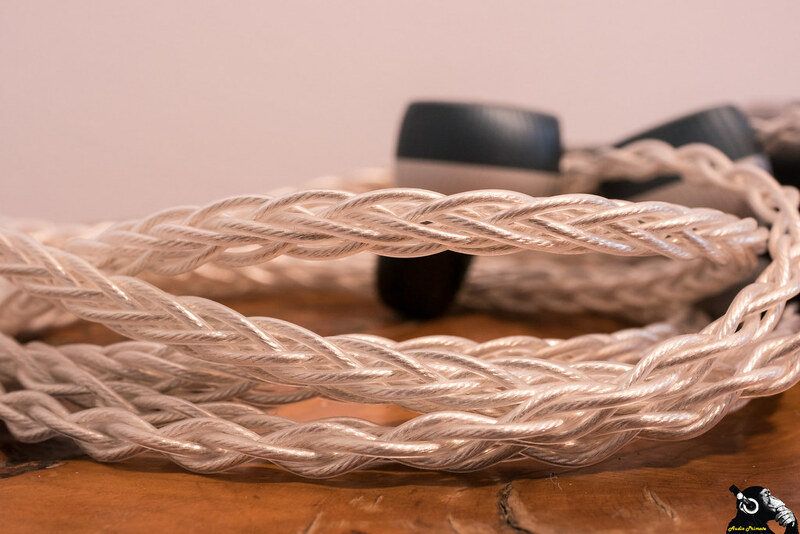 If looking for a cable for aesthetic reasons, it is more likely that silver will match your headphones than copper, though copper is also beautiful (and less expensive). As previously mentioned, Double Helix doesn’t fake it like they’ve got magical unicorn cable materials. For the Symbiote Elite SP v3 they use high purity OCC silver (99.99% pure), arranged in a Type-4 Litz configuration. The level of purity that Double Helix cites (meaning they use actual real-life sources, not fairy tales) as the maximum that is available outside of a laboratory for extravagantly expensive amounts. To make a cable out of 99.999% pure OCC silver, it would cost Double Helix about $10k in materials. I believe Peter when he says that nobody is making cables of that purity of silver. The Litz configuration consists of bundles of Type 2 Litz wire twisted around a fibre central core. For more information on Litz wire types, see New England Wire, where I’ve swiped the table below from. It’s the best on the net. I feel pretty confident that the Ares II+ uses a Type 1 or Type 2 Litz configuration. I can only think of one practical reason to do Litz wires in audio, which is to prevent oxidization of wires. Litz wires shine forever if minimally cared for. From an ergonomics perspective, fibre cores make a wire more flexible in my experience. Fibre cores also make the wires marginally bigger. When I did my Effect Audio review, I broke down how much it would cost to build a wire of similar specifications. I was concerned that no cable manufacturer would ever work with me again, but to my delight, they haven’t been scared off yet. It might happen this time. We’ll see if this gets me blacklisted. Much like with the Effect Audio Ares II+, the $789.99 price is reasonable if you consider what it would cost to make something with similar componentry yourself. I think that this may be even more fair from Peter at Double Helix as he lives and works in Texas, so has American level expenses rather than Singaporean expenses—nothing against Singapore, just probably cheaper to live there. I don’t begrudge him making a good living off making cables. I also know that it would take a lot of practice and a lot of investment in equipment to make things the way Peter does. The market price being charged on this cable is fair. Granted, Peter can get the wires and other components for less than I can, but I’m not about to propose that everyone out there get on their way to achieving economies of scale and full component supply chains. That would be a clown suggestion. I asked for the 8-braid, so I shouldn’t have been surprised how big it is. The cable is big, but it is soft and flexible. The housing is softer than the Ares II+ I have (I think Effect Audio has since updated their wire housing). Even with this softness, four 25 AWG wires is a lot to have sit on top of your ear. If I have the braid on top of my ear for a few hours, my ears start getting itchy. The tops of my ears are particularly sensitive, so it might just be me. 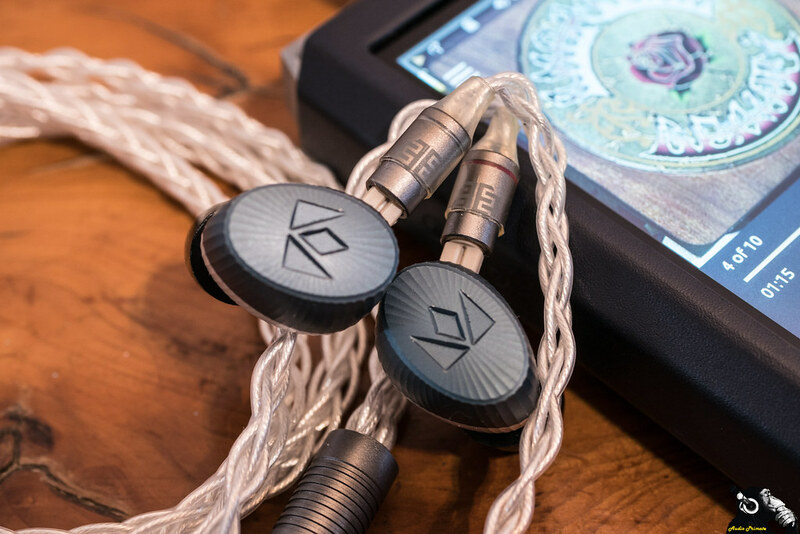 The effect is worse with the Effect Audio Ares II+ as it has roughly the same external surface area on top of the ear, but has harder wire housing and a greater amount of the surface area is in contact with the top of the ear compared to the DHC Elite SP 8 braid. 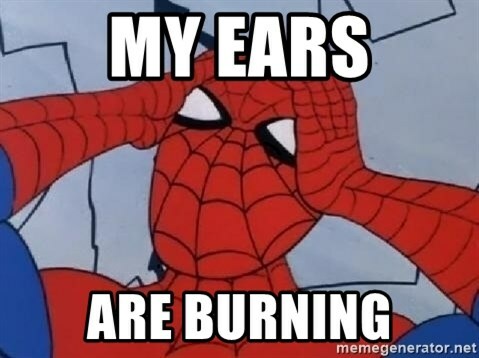 I think it may be that the four smaller wires from the Symbiote Elite SP have their weight distributed on top of the ear better than the two large wires from the Ares II+. The 8-braid has very little mechanical noise effect. The cable is designed for over-ear use, and the weight of the cable makes it not prone to movement. It doesn’t really bounce when I run with it. 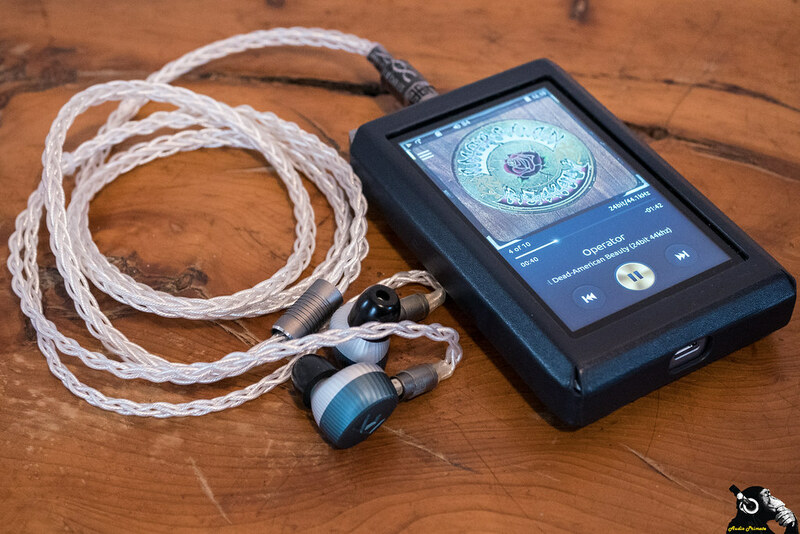 The weight of the cable can tug on headphones that don’t have a firm and secure seal, like the Noble Encore used in this review. I found the same to be true of the Effect Audio Ares II+. Interestingly, the combined gauge of the Ares II+ (4 wires at 22 AWG) and the Symbiote Elite SP v3 (8 wires at 25 AWG) comes out to the exact same value of 16 AWG. The grommet posing as a cable slider works, but it doesn’t really slide, it rolls with the willingness of an obstinate toddler—it says no, but you can make it do what you want with some coaxing. If I had to make one suggestion on the slider it would be to replace it with something like what Effect Audio does: a purpose-built slider with two holes, one for each wire set going to the earpieces, made of a plastic rubber. The Ares II+ slider would work a treat on the DHC Symbiote Elite SP. Everybody familiar with the transitive property in mathematics? If not here ya go: if A < B and B < C, then A < C. When I reviewed the Ares II+ it was clearly better than the Noble stock cable. 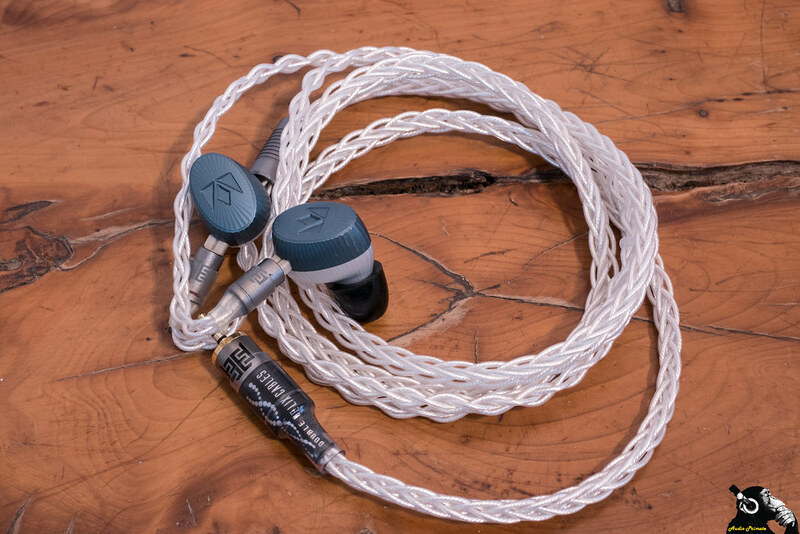 When I got the Symbiote Elite SP 8-Braid it sounded roughly the same as the Ares II+ on unmatched listening, therefore, it isn’t necessary to bring the Noble stock cable into this comparison. That cable has been vanquished. I will let it lie coiled and dead. I volume matched the two cables I’ll be comparing here using white noise (Ayre Acoustics, not that it matters), an SPL meter, and a listening level of just about 78.2. I did several measurements. They were basically in agreement. The cables have roughly the same impedance with variation about 0.2dB (could be all down to measurement error). If one cable was louder in a test, it was more likely to be the Symbiote Elite SP. This would make sense given conductivity differences between the two. For reference, my volume level was 78 with high gain on the Audio Opus Opus #3. I tried to be quick as lemming off a cliff on my cable switches and stuck with the same sitting position. 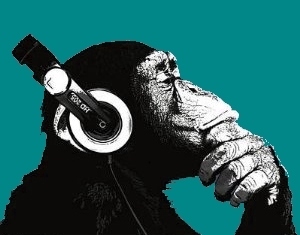 Without two identical headphones, my cable switches will still be too darn slow to rule out me imagining differences. I did a lot of cables switches and went over the same material multiple times to make sure I was hearing what I thought I was hearing. I’ll be clear about what I think I hear but given the imperfect methodology (blinding also not possible as cables feel different on the ear), my observations should be taken with salt in proportion to your scepticism. With Ares II+ the sound is smooth, the background detail that sounds like sleigh-bells slung on boots (like one of the players is tapping bell-adorned foot in rhythm) is clear with the Ares II+. The booty bells are a bit clearer on the Symbiote Elite SP, with a touch more texture and detail in them. The Ares II+ is smoother and softer in texture with less fine detail. On the high female vocals, basically the most grabbing audio part of the track, the DHC Symbiote Elite SP 8-Braid is brighter with sharper, more precise edges to Kim Deal’s soaring vocal. The bass strum is bigger on the Ares II+ but has better definition, texture, and a slight edge in extension on the DHC Elite SP 8-Braid. Drums are a bit more airy on the DHC Elite but have a bit more slam on the Ares II+. The Ares II+ has slightly more presence in the midbass and lower mids, which explains the additional potency on drums on this track. The bass emphasis difference is definitely confirmed. The Ares II+ has more midbass but less extension, which gives the sound a smoother and richer but less detailed and textured presentation. The bass on the DHC Elite SP is not as thick, but it is full of texture with more sub-bass presence. The mids are also a touch leaner when listening for vocal separation on the refrain, which means that there is a little less blending of the vocals and more distinct vocal locations when all the voices be singin’. The stage width is also a hair less wide on the Ares II+. 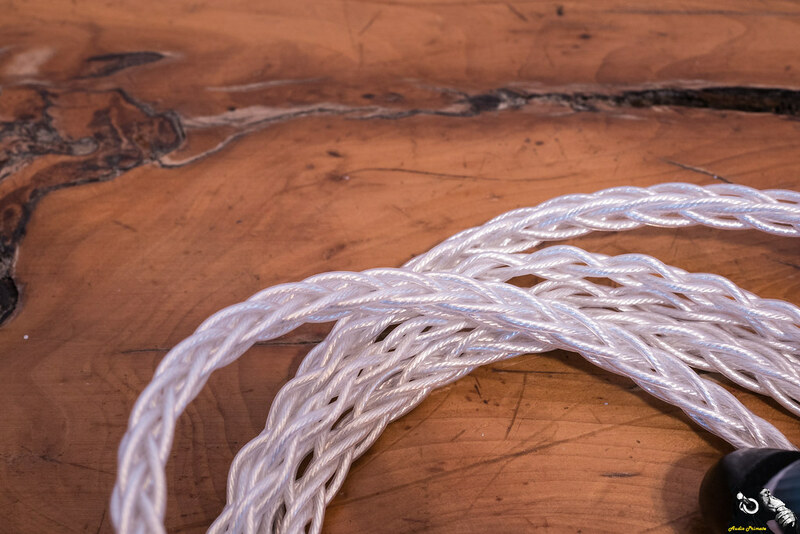 The sound is cleaner through the mids on the DHC Symbiote Elite SP 8 Braid. The stand-up bass has a longer decay on the Symbiote. The extra width of the Symbiote Elite SP also comes into play on this binaural recording. Tori’s vocals have more weight on the Ares II+. There is also less air around them. I think the presentation is significantly clearer on the DHC Symbiote Elite SP with more discrete separation between parts of the composition. Perceived speed of the Double Helix Symbiote Elite SP is subtly higher. Transients are just a little bit clearer. The Double Helix Cables Symbiote Elite SP 8-Braid IEM cable was provided to me free of charge by Double Helix Cables. I do not have to return the unit but am not free to sell it or give it away without express permission. I have received no compensation for this review and the thoughts contained within are my honest opinion. Thank you for supplying the review unit. 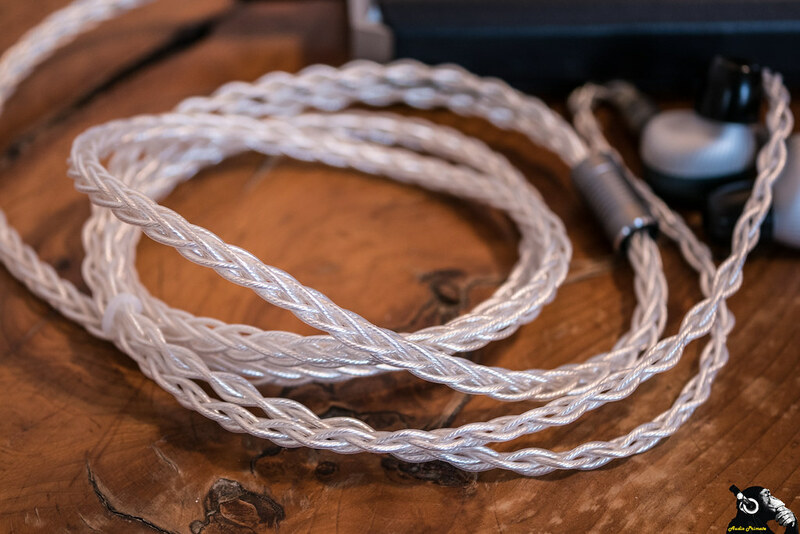 The Double Helix Cables Symbiote Elite SP 8-braid is an excellent sounding cable. It has better resolution and speed than the Effect Audio Ares II+. The Symbiote Elite SP has more sub-bass extension and more texture to notes across all frequencies. Overall, the Symbiote Elite SP was exceptionally clear. 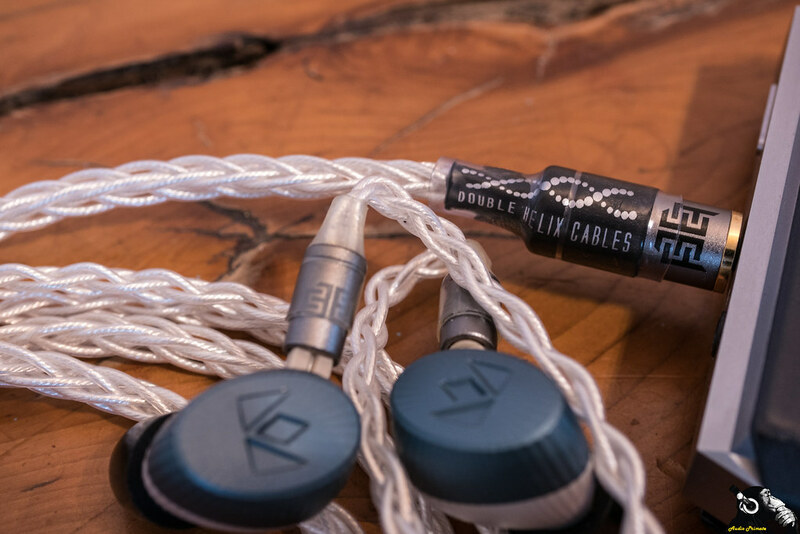 The build quality at Double Helix Cables was flawless, with clearly premium components and build technique. The Double Helix Cables Symbiote Elite SP 8 braid is big and made the top of my ear itchy after a few hours (so did the Effect Audio Ares II+). The Symbiote is also expensive. At $789.99, I’m not sure if I’m getting more performance than what I would get out of the quad-braid version of the DHC Symbiote Elite SP at $409.99. This isn’t to say that the value is bad, just that it may not be what people think they are paying for. The cost of high purity silver Litz wire is high, and from the breakdown I’ve shown, Double Helix isn’t robbing anyone. 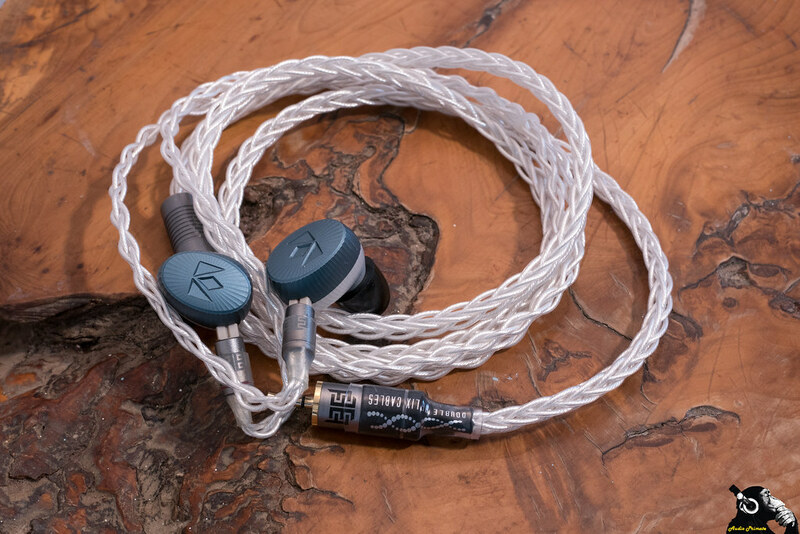 There are probably more efficient uses of audio dollars, but I did find that there was an audible effect to using aftermarket cables with the Noble Encore and it was a good effect with both cables, more so with the DHC Symbiote Elite SP v3. It’s an excellent cable, made in the USA, that provides audible sound improvements compared to the competition I had on hand. How much an individual buyer is willing to pay for that improvement is another question.